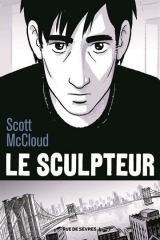 In light of the French publication of Scott McCloud’s The Sculptor (Le Sculpteur) on 18th March by Rue de Sèvres, Scott will be touring around France later this month. This is his schedule if you wish to catch him whilst he’s here! Previous Post Look what was just delivered!! !